Lauren Pines...Love Where You Live! Thank you for visiting. This home has been purchased. Please contact us if you would like to discuss building this same plan on another lot in Lauren Pines (or elsewhere). See our outstanding value home at 295 Lauren Pines Drive! New construction! Beautiful new home in a desirable new subdivision, Lauren Pines (MLS #1057788) located on a quiet street (264 Lauren Pines Drive) with a location that is convenient to Charlotte, Gastonia, and Rock Hill. This home is superbly built new construction with in-ground irrigation, attractive landscaping, and a spacious front and back yard. You'll love the low York County taxes and the quality school system is a real plus for Charlotte-area commuters. Tour this home and get a $25 Merchant Discount Card as a thank you! 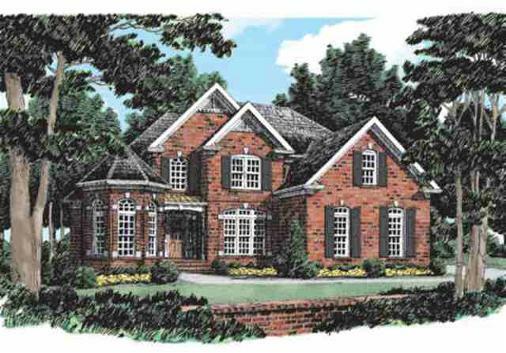 You'll be wowed by this award-winning Frank Betz floor plan with its efficient design and warm Southern charm. When you purchase this new home, the Seller will pay $2,500 in closing costs with acceptance of a full-price offer and use of our Preferred Lender. 100% financing options are available.